We proudly serve all government buildings in the county. Vending Machines & Micro Markets in Houston TX! Coming To An Area Near You. Outside our service area? No worries, we are always expanding our service area. Give us a call and we will see what we can do to get in your area. 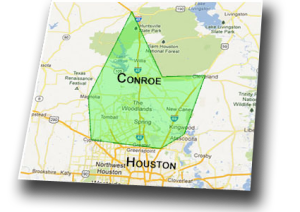 We are located in Montgomery County Texas, we offer fresh healthy & traditional vending machines & micro-market stores in The Woodlands, Conroe, Tomball, Humble, Spring, Greenspoint, Magnolia, Cypress, Huntsville, Willis, North Houston and West Houston areas. We are a real vending machine company offering a complete selection of famous brand name snacks, beverages (Coke, Pepsi, and Dr. Pepper products), food machines, office coffee service & fresh healthy choices! We do not require a service agreement and carry a four million dollar general liability policy for your protection. We are the largest and finest full service vending company in North Houston Texas. We use state of the state of the art equipment and credit card readers are an option. Hometown Vending Machines serves all of the libraries, Annex’s, Law Enforcement Centers, Administration Buildings, Courthouses, etc. for all Montgomery County TX. If the County can trust us… you can too!